Has the topic lost its value as oil prices go down? 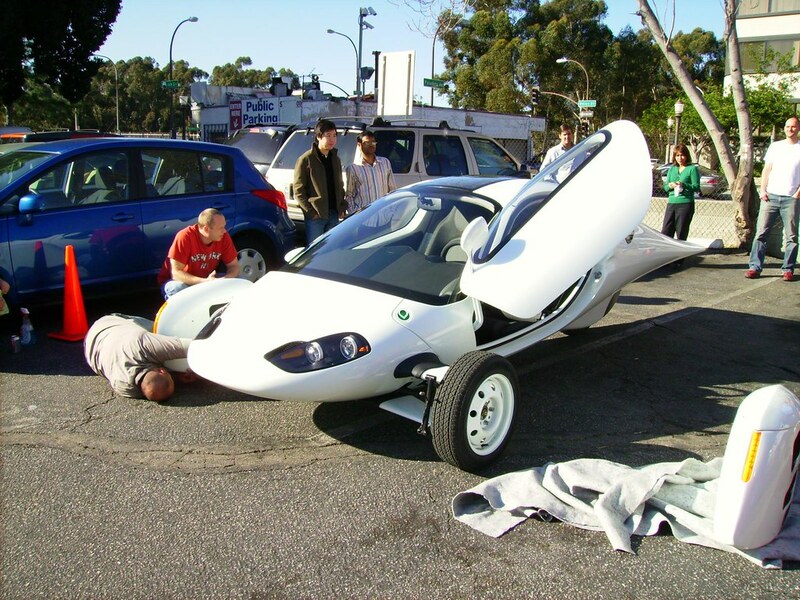 Do efficient car project simply die off now? This is like deciding to hold off repairing the leaking roof, because it has stopped raining. Oil prices will go back up, and electric/hybrid cars are the future. And efficiency is always a good thing; for all resources: water, food, air, and the earth is connected to all of these. I saw an Aptera getting off the highway near our home a month or so ago. Really?! Too bad you didn't have a camera handy! What highway and what day/time was it? 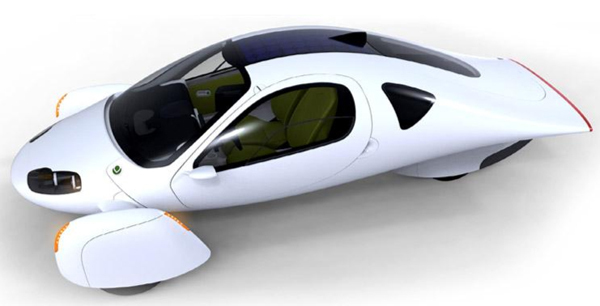 The folks over at the Aptera Forum are anxious for any and all news about the Aptera. Did the vehicle you saw have the rear quarter windows, or not? No, no camera. It was in the early evening here in Grand Rapids. I figure it was probably some automotive journalist testing it--they occasionally drive cars over to this side of the state. But back on topic. I recently stumbled over some money, and the Aptera looks soooo killer. 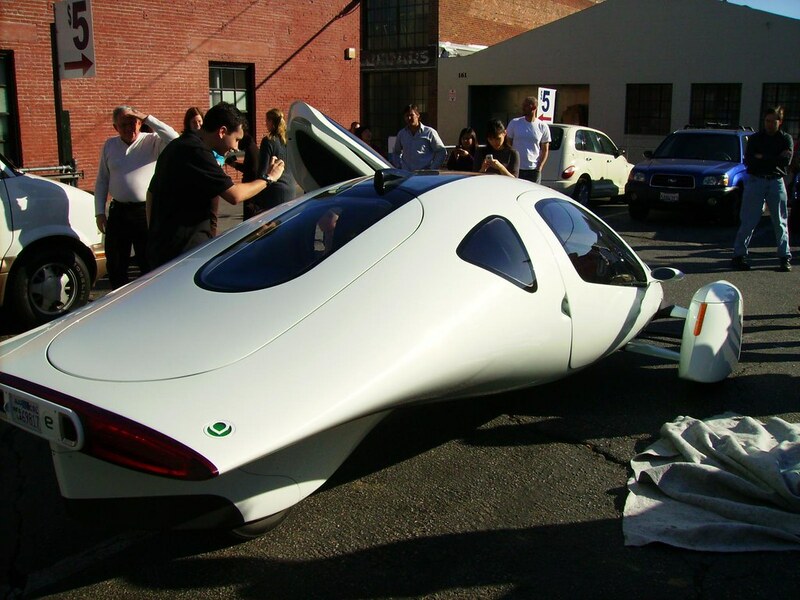 And the idea to be able to commute with a car like this would be so promising. But unfortunately, I don't live in CA, not even the US... so it seems like I have to wait some more years for eco-friendly driving to become true. 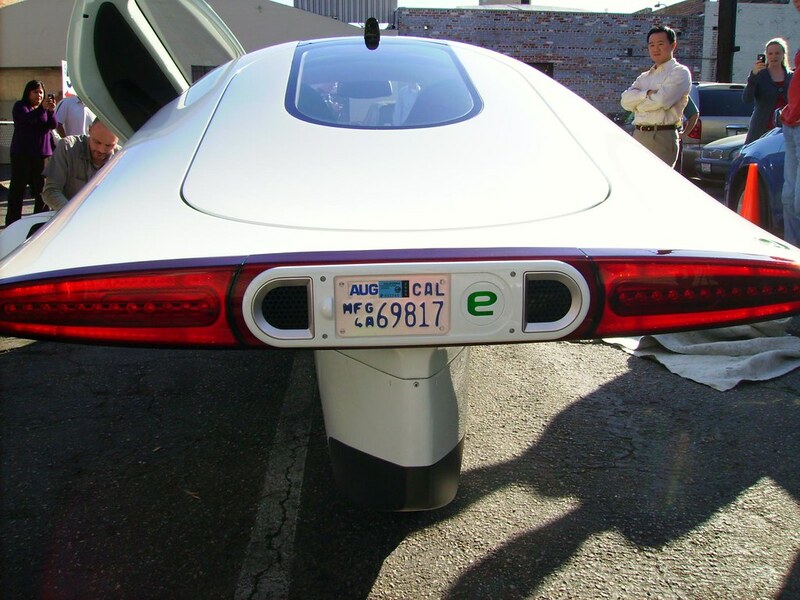 I don't think the ideo of energy efficient cars will vanish again. In the "60 Minutes" interview Obama said that abandoning the quest of alterntive fuels and energy independence now would be absurd. 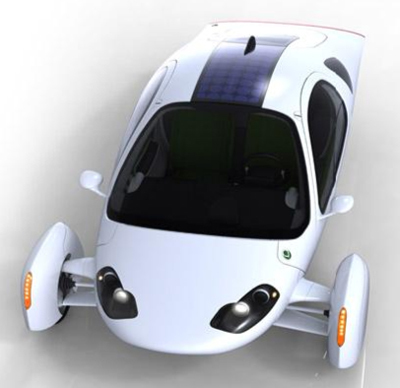 Also Vokswagen is developing a 2l car and other German car companies have also already invested heavily into hybrid and other fuel efficient propulsion technologies. I just read that discussion about the safety of small cars. Here is a video of a Smart car craseh ageinst a 2-ton Mercedes S-Class. It looks pretty violent but IIRC the forces on the driver in the Smart were within healthy margins. The video is in German but the pictures speak for themselves. 'to have something handy' means to have something quickly available. handy is an adjective (?) here not a noun like in German. German for that sentence would be "...keine Kamera zur Hand (!) hattest. Last edited by Mescalero on Tue Nov 18, 2008 9:56 am, edited 1 time in total. 'to have something handy' means to have something quickly available. handy is an adjective (?) here not a substantive like in German. German for that sentence would be "...keine Kamera zur Hand (!) hattest. unfortunately, I don't live in CA, not even the US... so it seems like I have to wait some more years for eco-friendly driving to become true. 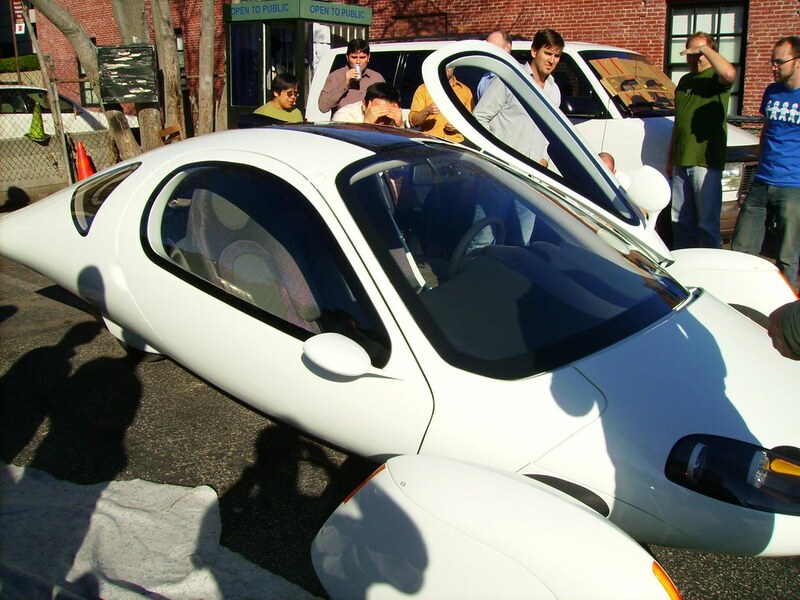 Electric vehicles that use lithium batteries... Yesterday I read how "eco friendly" production of lithium and batteries is. Horror! Plus it is not possible to ramp up production. Not enough for cellphones and laptops as it is. looks can be deceiving. the loremo uses cutting edge passenger cell design to achieve 5-star passenger safety without adding huge amounts of extra weight. also, what's not sci-fi about the whole front of the car hinging up in order to get in or out? also, what's not sci-fi about the whole front of the car hinging up in order to get in or out? That's the BMW Isetta from the post-war time. You can bet it had no five-star passenger security. I just like the looks of the Aptera more - it's not that I don't like the Loremo, which should in fact be available in Germany first. On the British TV show Top Gear they raced three cars from Basel, Switzerland to Blackbool, England, 750 miles away. They used a Jaguar, a Subaru Legacy and a VW Polo BlueMotion, all diesel enginges. The VW was quickest and most economical with 80mpg. 80mpg is better than the Toyota Prius although the Polo has no fancy hybrid technology. I think the whole hybrid thing really only works in an urban environmen with a lot of braking and accelerating. The Prius is also a bigger car. If you put a efficient diesel in the Prius, and/or made it a plug in, it could better the Polo, possibly. I think the whole hybrid thing really only works in an urban environmen with a lot of braking and accelerating. That's actually incorrect. Braking and accelerating is bad for any vehicle, even hybrids. 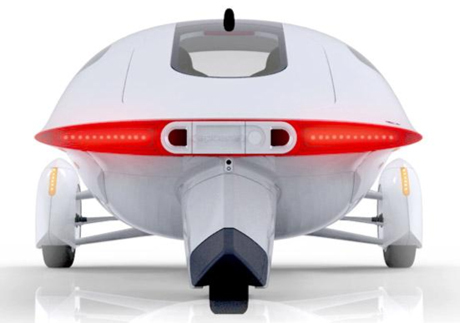 The electric motor cannot provide enough power alone to get hybird vehicles (e.g. Prius) up to speed, so the engine is used just like in any other vehicle. For me the Prius gets better highway mileage as compared to city mileage, which goes against the EPA ratings, and this is true for most Prius owners (you can search the forums at priuschat.com to verify this). With that said there are driving techniques that can be used to improve city mileage (as well as highway). This has been most commonly referred to as hypermiling. A lot of it involves proper planning and anticipation while driving. It's a common mistake to believe that hybrids run as electric vehicles in the city, but unfortunately this just isn't the case. That's actually incorrect. Braking and accelerating is bad for any vehicle, even hybrids. But whats the advantage of a hybrid if you drive long distances with (near) constant speed? Then all the power used will be generated by the combustion engine. Braking at high speeds won't give you lots of energy back because the batteries can't be charged that quickly. Of course in urban areas a lot of energy is dissipated by braking, but if there's an area in which a hybrid outperforms a diesel it should be in stop-and-go traffic. 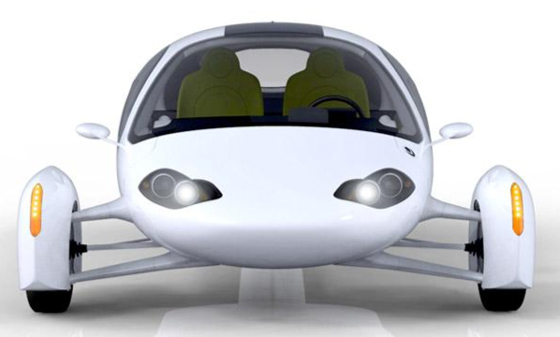 Aptera has updated their webpage with much more detailed images -- I'd say it definitely has driven front wheels! They start production this month! 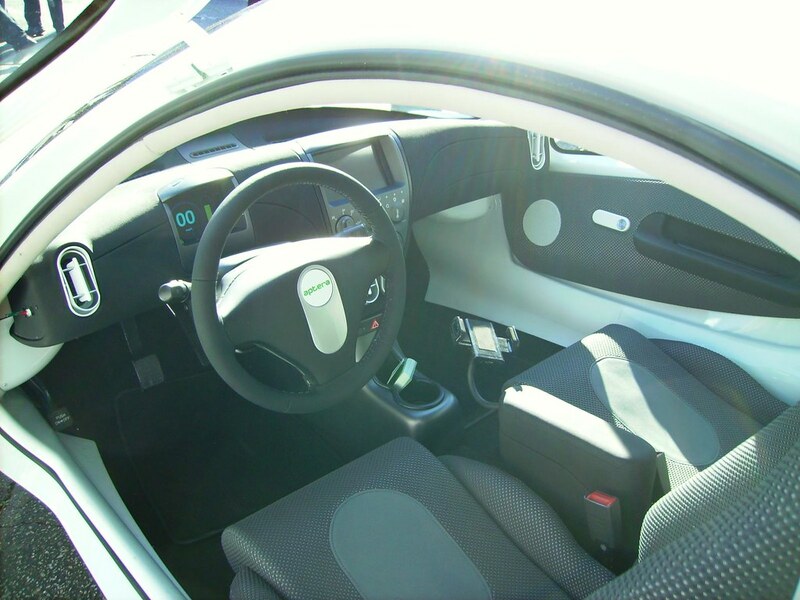 The cost will be the mid-$20K to the mid $40K range, depending on model (all-electric, serial hybrid, possibly fuel-only) and the options you choose. Sale to California residents only, for now, but all over the USA at some point fairly soon. 1,500-2,000 pounds (or so); again depending on the model and options. 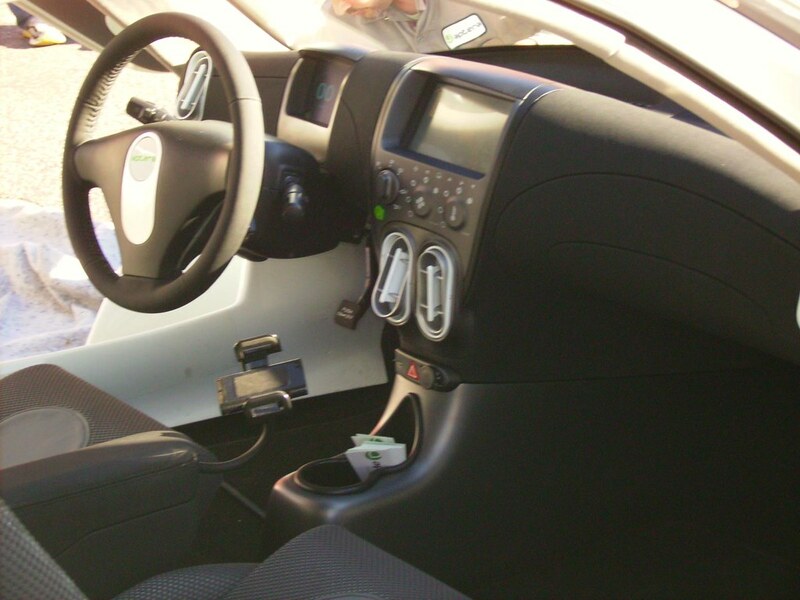 Dual air bags, front crumple zone, passenger safety cell with door beams, etc. Now I can't account for all the claims made in this article, but I do know the Honda CRX-HF had a 1300cc engine and just one compression ring per cylinder, as opposed to the usual two. Owners reported getting in excess of 50 mpg on the highway. And without all the resources poured into the batteries, and their shipping costs both as raw materials and as finished products. However, once again, let's not be ridiculous. A prof I had owned one of those early diesel Rabbits, and paid $900 to have the clutch replaced, or about twice the going rate for a clutch job back in those days. I like German engineering and drivability, it's the durability that leaves something to be desired. 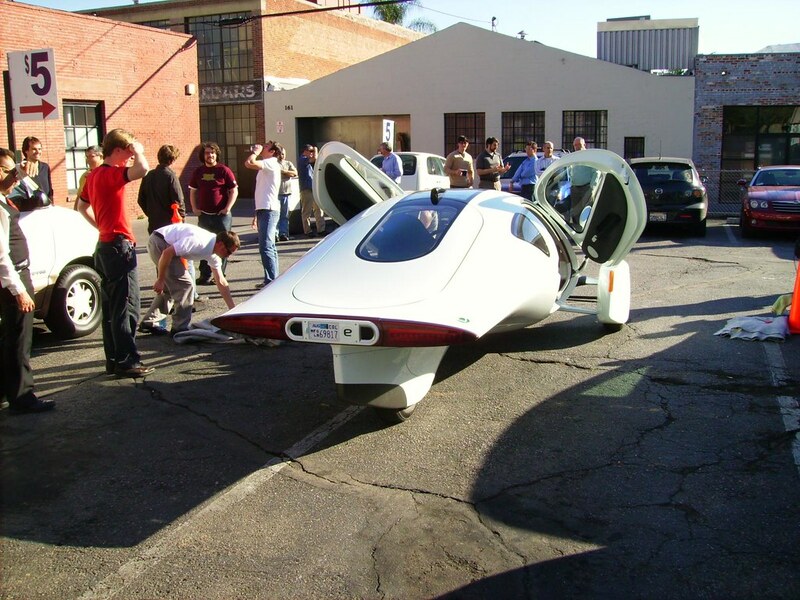 If they can really make the Aptera for 20-something-thousand Dollars, that be huge. It wouldn't even need fancy all electric angines. A nice modern diesel engine and you could probably achieve 100 mpg. The Euro NCAP board recently crashed the Ford Ranger, a 2-ton double cab pick up. It achieved only two stars in the front impact category. The Fiat 500, a car half the size achieved all five possible stars. 2 seats is going to be a big deterant for people. It may be a good "secondary drive to work" car, but a primary or only vehicle? They really need to make a 4 seater model. Especially considering the average american family is 2.4 kids. Time to bring back the rumble seat. 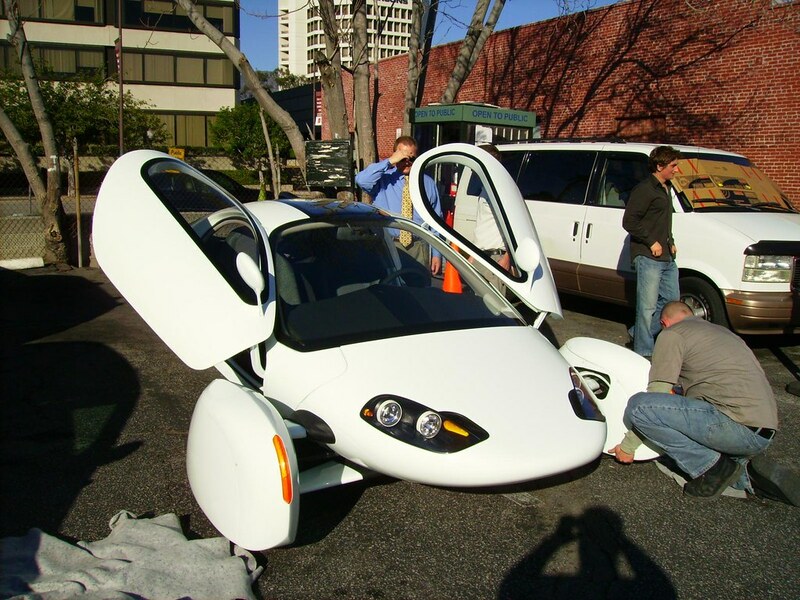 Aptera is working on a 4 seat, 4 wheeled car -- the working name is Palomar. We know absolutely nothing about it yet. 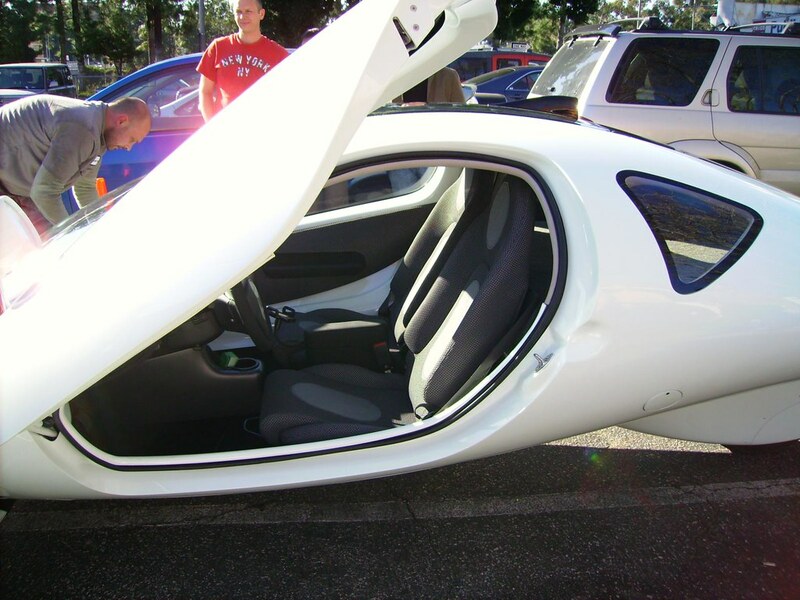 A note on the Aptera 2e: you can put a child seat in the center back. OTOH, how many people on average are in each car on the road? I don't have the exact numbers, but at least 3/4 of all cars on the road -- there is just one person. Considering the average American family has more than 2.4 cars, that's rather a moot point. For dad's 50 mile commute to work it is perfect, whereas mom can drive the kids 5 miles to soccer practice in her volvo estate. No need to have three 5-7 seaters in a family of 4.4 people, of which 2 drive. They now are aiming for October 2009 for production, which is a full year later than they had originally intended. It is a complex machine, and there are a lot of bits to nail down; like a battery supplier. They have released a lot more details and specifics about the 2e, at the TED conference, where they are offering rides, as well. Official dimensions: 53" high x 91.0" wide x 173" long. 110v 15A charge time: 8 hrs. Battery output: 10-13 KWh battery pack. - Battery Type: Lithium Ion Phosphate. There should be a video up pretty soon, too.